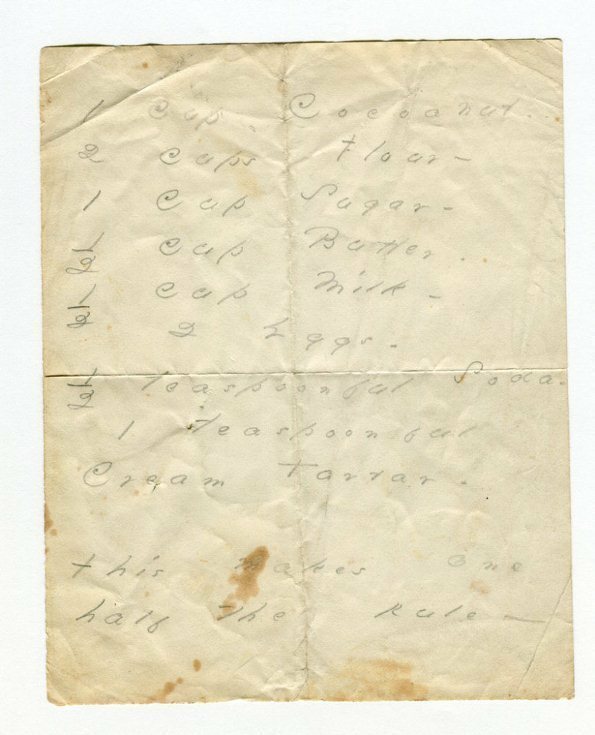 Rather than make a simple icing, standard fare in the 19th-century, based partly on the ingredients I had lying around, I decided to go with this topping instead. It worked very well. Preheat oven to 350 Fahrenheit. In a large bowl, blend butter-substitute and coconut sugar. Add brown rice flour and beaten egg yolks. Beat egg whites until slightly frothy and add to batter. Gradually add shredded coconut and coconut milk, blending all ingredients thoroughly. Spray a 9 x 13 baking dish with coconut oil. Pour batter into the greased dish (the baking dish should be half full). Bake for 25 minutes in a convection oven (probably 30-35 minutes in a regular oven). Mix the coconut-lime topping. Remove from heat, let cool for a few minutes, spread the topping evenly over the cake.